By musesofamom | Posted in Uncategorized | Also tagged African American, African Americans, Barack Obama, black america, black men, Black People, Black women, cbs, CNN, Current Events, matt lauer, Sarah Palin | Comments Off on Sarah Palin gets heated on the Today Show…did they go back on their word? What do we expect from the police? We hire the police to serve and protect. What do want them to do? The latest police shooting in LA puts the police front and center in the midst of controversy. The police say the man “African” was reaching for one of the policeman’s weapon, and the police killed him. Who is at fault here? We also have to ask when did it become acceptable to fight with the police? Policeman want to go home at the end of the day and they will subdue any threat to that outcome Does this mean every time a policeman shoots he is justified? No, but we have to look at the facts of each case before we indict either party. Racist or ridiculous? Share your thoughts. Husain Abdullah flagged on MNF for praying? Tim Tebow was known for offering a prayer of thanksgiving for good plays he made in college and in the NFL. He popularized “Tebowing”. He was not penalized, but last night Husain Abdullah offered up an act of thanksgiving and he was rewarded with a 15 yard penalty. Can we say double standard. Share your thoughts. Does Ferguson showcase the generational division in the black community? Who is leading the young people in the black community? As we watch the conflict in Ferguson we see young people willing to risk tear gas to get their point across. To these young people Jesse Jackson and Al Sharpton are icons from the past. They are not really relevant figures to the young people. This is the social media generation. They are more comfortable texting than listening to leaders from the past recite rhymes or platitudes. So where do we go from here? What is victory? Will an arrest quell the violence? Since an arrest is not imminent will the unrest simply go on unchecked? No it won’t. The city has to return to normal. People have to go work, children have to go back to school. This has to come to an end, and it will, it will be interesting to see how it ends. 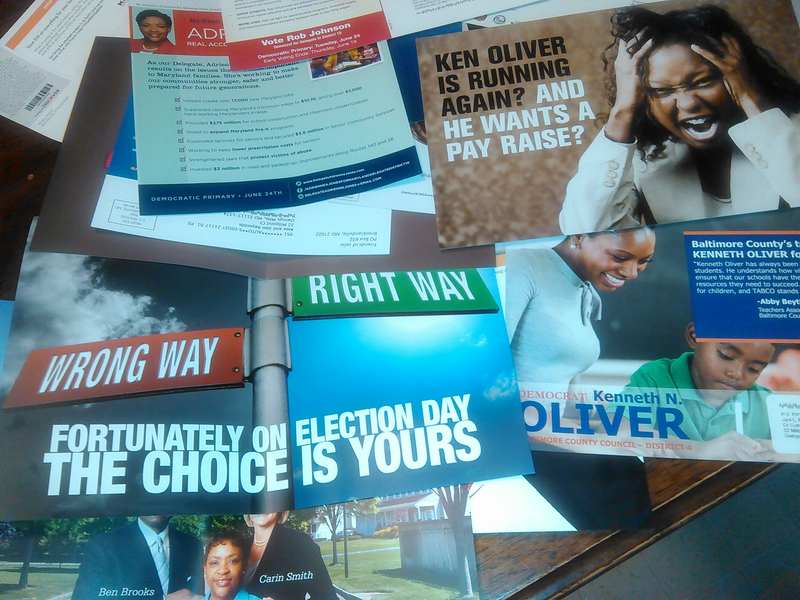 Political Direct Mail, do you read it? We have a primary coming next week and over the past few weeks we have received numerous mailers extolling the virtues of a myriad of candidates. The question is do you ever read these things, and if so do they factor into your decision about a candidate? Share your thoughts. By musesofamom | Posted in Uncategorized | Also tagged African American, African Americans, Barack Obama, black america, black men, Black People, Black women, cbs, CNN, Current Events, Democratic Party, Democrats, Fox News, gop, media, Morning Joe, MSNBC, nbc, News, politics, President Barack Obama, President Obama, Republicans | Comments Off on Political Direct Mail, do you read it? It is fine to disagree with the administration about the handling of Bowe Bergdahl but taking potshots at his father is seemingly a bridge too far. Yesterday Joe Scarborough crossed that bridge and said what he would have done if his son was in a similar situation. Churck Todd who is no fan of the administration challenged him. It is so easy for the media to sit in their comfy chairs and ponder all the “what ifs”, but it is truly another thing to be the parents of a son that has been missing for 5 years. At this point we don’t know all the facts of Bergdahl’s disappearance, and we also know it is impossible to say what we would do for our own child. Joe needs to take a step back from the plank.